On Thursday 25th September, Avon & Somerset police executed a search warrant under the Misuse of Drugs Act, at a small industrial unit at Hopkins Court on the Bennetts Field Industrial Estate, Wincanton. They made a forced entry into the premises at 12.50pm, and discovered a cannabis farm. The police seized 150 plants and related equipment. The plants were growing in a hydroponic system. This was part of Avon & Somerset’s “Operation Viscount”, to discover and close down cannabis farms/factories in the Force area. The operation was based on information supplied from local sources. A 34 year old man from the Torquay area has been arrested on suspicion of production of a controlled drug (Class B – cannabis). He was later released on police bail whilst the police carry out further detailed investigations into the matter. No further information is available at this time. 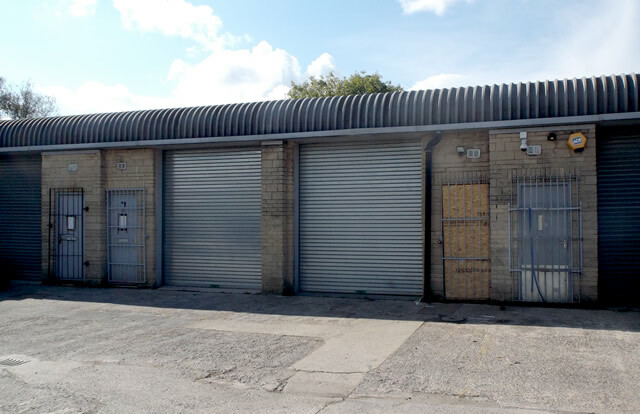 This unit is part of a row of similar units on the edge of the trading estate, set back from the main estate road. There was nothing visible from the exterior to lead anyone to suspect that something illegal was happening inside. “This was a large cannabis factory in the middle of a busy trading estate. It shows that local people working with local police can have a real impact on reducing drug activity in Wincanton. The farm was run very much under the radar, confirmed by the fact that businesses next to the unit were unaware of what was happening. It’s hard to take on board that a small rural Somerset town like Wincanton can be afflicted by this type of crime. But it’s good to know that people still care enough to alert the authorities to such an illegal operation. If you are able to provide the police with information about this or any other crime please contact the general enquiries number ‘101’. Alternatively you can contact the independent charity ‘Crime Stoppers’ on 0800 555 111; they will never ask for your name or attempt to trace your call.